Ven. Maduluwawe Sobitha Thera said yesterday the attack on innocent civilians who protested for clean water at Weliweriya was a serious warning about the future of the people in the country. “The people in Rathupaswala who suffered for a long time due to the contaminated water issue were fired on and killed. But now there was no one who ordered the army. No army in the world uses their arms without an order. This was a serious situation for the future. It is wrong to call on the army when there was no state of emergency. If the army was attacked and fired on, why were they not arrested? Who gave permission for this factory despite there being a Central Environment authority in the country? Today anyone can do anything if they have money, political power and use thuggery. There was no law and equality. The government cannot shy away from the incident saying there was a political conspiracy behind this. There cannot be a political agenda behind this pretest for clean water. Everyone despite political differences needs water,” he said. Ven. 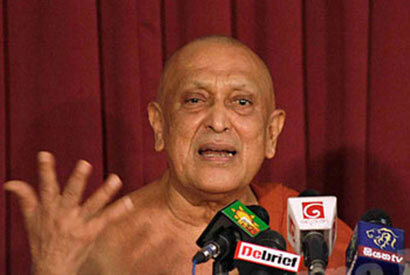 Sobitha Thera told a news conference organised by the Temperance Youth Organisation of Sri Lanka in Colombo yesterday that a free and fair election cannot be expected unless independent commissions such as independent police and election commissions were established. “We can expect a free and fair election only through independent commissions. Today there is no police commission. And it is politicised. The opposition politicians do not get any assistance from the police. We can see state property is being used for election campaigns. Can the election using state property be considered free and fair? What power does the Election Commissioner have over this? The complete power of the police should be entrusted on the Elections Commissioner so that he could act against those who violate election laws,” Ven. Sobitha Thera said. Unless new party comes to the game there will be no point of talking. All efforts will go in vain. People to be blamed yet again. Weliweriya is not an isolated incident. In recent time factories has been mushrooming through out the island. This is a manifestation of development in that it creates employment, helps to earn foreign exchange probably help to improve the quality of life. Most of these enterprises are generally funded through lucrative loans from the government mostly from the state banks and financial institutions. Unfortunately the government has failed to set up guidelines when setting up these industries, basically this involves water, power and refuse disposal. We are fortunate that we have and abundant supply supply of fresh water which is taken for granted. Large sections of the population have no access to fresh pipe borne water being dependent on ground water and waters flowing down the network of rivers and streams. Due the increasing population (sewage) and industrial activities these resources are becoming polluted to the extent that there is danger in consuming these waters. It is only the government that has the resources to undertake large projects to provide water and sewage disposal. Most cities and town in Sri Lanka are built on sewage and no amount of cosmetic treatment can get away from this fact. So it is time that Mahinda Chintanay give thought to this problem for there is a lot at stake include tourism. unable to find honest political and religious leaders today in Sri Lanka. Let’s play blame game and we have no future in our nation. MRaja, GRaja, WWeera, MSilva and BBS all one team.